A federal court jury in Los Angeles two years ago found Led Zeppelin did not steal the famous riff from the song “Taurus” by the band Spirit. But a three-judge panel of the 9th U.S. Circuit Court of Appeals ruled unanimously that the lower court judge provided erroneous jury instructions that misled jurors about copyright law central to the suit. It sent the case back to the court for another trial. Michael Skidmore, a trustee for the estate of late Spirit guitarist Randy Wolfe, filed the lawsuit against Led Zeppelin in 2015. Jurors returned their verdict for Led Zeppelin after a five-day trial at which band members Jimmy Page and Robert Plant testified. 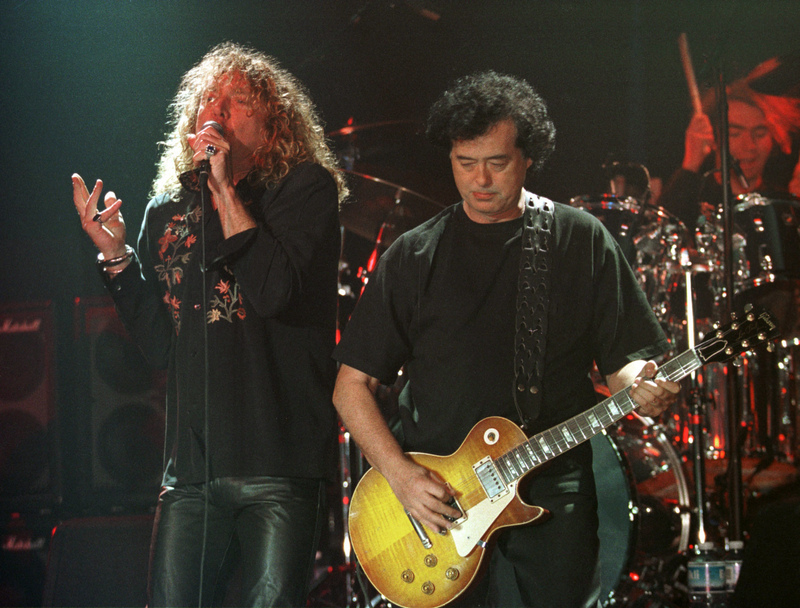 Page and Plant, who wrote the “Stairway” lyrics, said their creation was an original, and in several hours of often-animated and amusing testimony, described the craft behind one of rock’s best-known songs. The jury found “Stairway to Heaven” and “Taurus” were not substantially similar, according the 9th Circuit ruling. But U.S. District Judge R. Gary Klausner failed to advise jurors that while individual elements of a song such as its notes or scale may not qualify for copyright protection, a combination of those elements may if it is sufficiently original, 9th Circuit Judge Richard Paez said. Klausner also wrongly told jurors that copyright does not protect chromatic scales, arpeggios or short sequences of three notes, the 9th Circuit panel found. “This error was not harmless as it undercut testimony by Skidmore’s expert that Led Zeppelin copied a chromatic scale that had been used in an original manner,” Paez said. The panel also found another jury instruction misleading. “Today, we are proud that three esteemed jurists from the 9th Circuit recognized the battle that we fought and the injustice that we faced,” he said. One of the issues that came up at trial was that jurors could only listen to experts’ renditions of the sheet music for “Taurus,” not the recorded version of the song as performed by Spirit. Steven Weinberg, a copyright lawyer who watched the trial, said the sheet music for “Taurus” wasn’t faithful to the recording, so jurors could not fairly compare the songs. The 9th Circuit in its ruling Friday said jurors should have been allowed to hear the recording to help establish that Page had “access” to “Taurus,” meaning he would have been familiar with it. “I believe that ruling alone has the potential of changing the outcome at the next trial because the jury will finally get to compare ‘apples to apples,’ he said. Written by SUDHIN THANAWALA, Associated Press. Poor old Planty and Page. They’ll be dogged by this even after their deaths. Having heard the original instrumental in question and, of course, Stairway innumerable times over the years, I think it was lifted. This is not the first time Zeppelin has been accused of lifting, cribbing, etc bits of songs, including old blues songs written decades before the band formed. They’ve had to retroactively apply credits to Willie Dixon to some songs after legal threats and was sued in 2010 for failing to ever credit Jake Holmes for Dazed and Confused, who toured with Page’s previous band, The Yardbirds. Page adapted the song for Zep but never credited Holmes. Still an all-time great band. There is simply no question that the intro to the Taurus song and the intro to Stairway to Heaven are the same, practically note-for-note. Anyone, even someone with no ear for music, could listen to both songs and tell you that. But any similarity ends there. Still, if Randy California (Randy Wolfe) were still alive, I’d say sure, award him some money for coming up with a clever sequence of notes in an otherwise awful song, and let’s move on. I’m sure Led Zeppelin can afford it. As for his attorney, administering his estate? Forget him, he’s got absolutely nothing coming, and I hope he loses the case once and for all. Led Zeppelin took an utterly forgettable piece of music and turned it into an uplifting all-time classic. More credit where it is due and less where it isn’t. I was going to comment on this Nick. but you said it best ! Let’s just say “Who The Eff is Randy California?” and leave it at that. I hope Peter Grant & Richard Cole are administering daily “recognition beatings” to this “Randy” fella in the next life. I can hear Grant now yelling in thick accent “So you want a piece of Zeppelin do you boy’oh, you’re a dandy little tart aren’t you!” “Grab his legs Richard, let’s see if he can fly as well as he takes a beat’en”.